Unlike petty theft, receiving stolen property is a serious crime, and the District Attorney will not hesitate to pursue the harshest possible penalties. If you are convicted for receiving stolen property you will face up to three years in a California state prison, $10,000 in criminal fines, and a future burdened with a criminal record. Aid in concealing, selling, or withholding property from the owner that you know has been stolen or obtained through extortion. 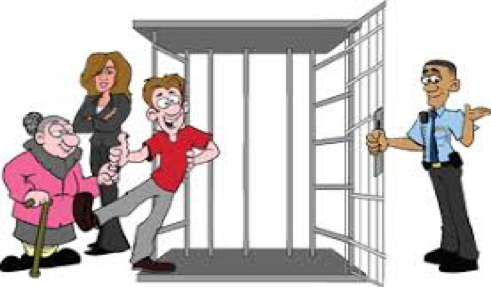 Penal Code Section 496 covers a wide range of possible criminal behaviors, from actually purchasing stolen property to simply helping someone conceal stolen property. You actually received the property. In order to be convicted under Section 496 the property that you received must have been stolen or obtained using extortion. In most situations, you must also have knowledge that the property you buy, sell, or possess is stolen. You must also have knowledge that you possess the stolen property. There is an exception to this knowledge requirement under Section 496(b) if you operate a business whose primary conduct is dealing, collecting, or trading property. If you are a swap meet vendor, junk dealer, second-hand shop, antique store, or other property trader/dealer you may be criminally liable for receiving stolen property if you do not use due diligence to check out the property you buy and sell. In most cases, if you receive property under suspicious circumstances and fail to make a reasonable inquiry into the property’s legal ownership, you may face criminal charges if that property turns out to be stolen. The District Attorney must also prove that you received the stolen property. This does not necessarily mean that you must have physical control or possession of the property. Instead, you will be considered to have received the stolen property if you have authority over the property. Receiving stolen property, as defined in Section 496 of the Penal Code, can be charged as a misdemeanor or a felony offense. The charge that is filed against you will depend on (1) the value of the stolen property, (2) the extent of damage suffered by the victims, and (3) your criminal history. Receiving stolen property valued at less than $950 is generally a misdemeanor offense, punishable by one year in a County Jail and/or $1,000 in fines. Receiving stolen property in excess of $950 is generally a felony offense, punishable by a maximum of three years in a California State prison and/or $10,000 in fines. The victim of your crime may also be entitled to recover monetary damages for the harms they suffered because of your conduct. In some cases, you may be required to pay the victim three times the damages they suffer and compensate them for any attorney’s fees they have. Prohibited from serving in the military. In addition to criminal charges, you may be named as the defendant in a civil theft lawsuit, as well. The plaintiff (victim in your case) may be able to use your criminal conviction as evidence in a civil suit. If the police discovered stolen property in your possession during an unlawful search, or illegal arrest, we will petition the court to have the tainted evidence thrown out of your case. The State may not benefit from breaking the law and violating your rights. When tainted evidence is thrown out the prosecution will have a difficult time proving their case. If you have been arrested for and/or charged with Receiving Stolen Property in California, you should contact an attorney as soon as possible. An experienced attorney will be able to review the details of your case and determine which defense(s)that may be most helpful in your case. DON’T WAIT CALL FOR HELP NOW! (510)346-6666 Donald Gray Drewry, Attorney at Law.